D&D before I even knew what role-playing was! I may go on an on about how long I’ve been playing but it’s not empty boasting, I actually played D&D before ever picking up any polyhedral dice! 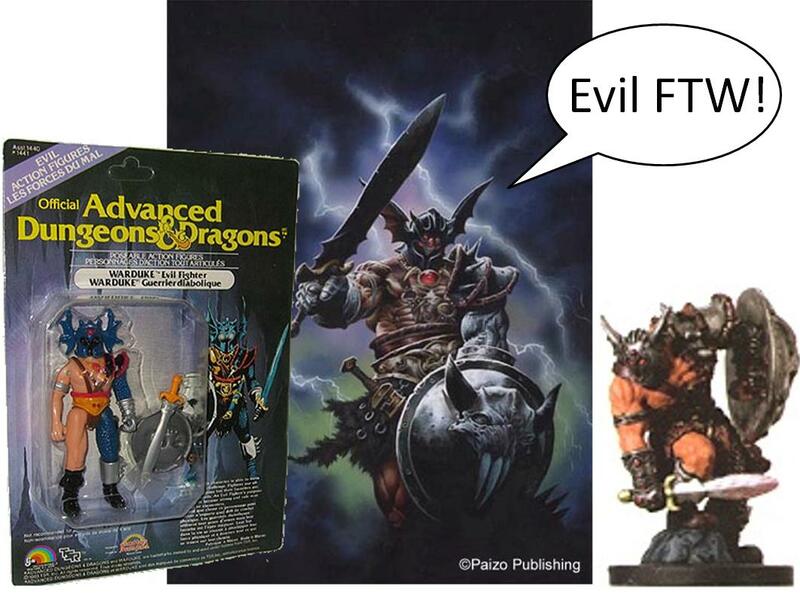 I don’t know how many of you remember them but in the 80’s there was a line of Advanced Dungeons & Dragons toys. I remember my mother brought them for me during a trip and I was hooked. I must have been 10 or 11 years old when I got them, even if I had not read any fantasy novel I knew the genre from movies and stories. Sinbad, Conan and Excalibur where among my favorite movies and I had rented Fire and Ice every time I could. So when I got those toys I was thrilled. I remember reading the character bios printed on the package and pouring over every detail. I was one of those kids that saved toy packaging because they had information, so I read the stories of the characters over and over again. Little by little I got the monsters and even the play set. I remember playing many battles where Strongheart and his allies Elkhorn and Peralay foiled Kelek’s evil plan, defeated his ally Warduke and saved Mercion. (Stereotypical I realize that, but I was 10 or 11, not writing the next fantasy epic!) To this day I can write the character’s names from memory. When the second set of toys came out I had a new favorite toy in the collection, Northlord the Barbarian. Tall, blond and rather scrawny, his helmet was too big, but I just loved the character. He soon became the new hero in my stories and Strongheart with his Tom Selleck mustache rode his Ferrari warhorse into the sunset. I dreamt up many adventures and some basic concepts for my homebrewed campaign, even the name of one of the major continents, were created for theses games. 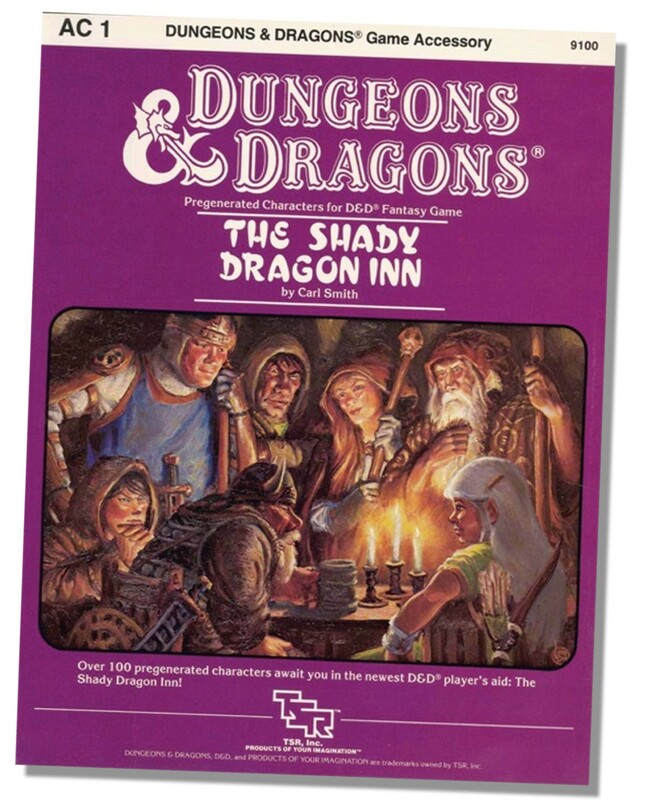 Many years later I eventually discovered the D&D supplement The Shady Dragon Inn which included statistics for some of the characters. Some of the characters appeared in the D&D cartoon, and Warduke to this day has a following, he was in the cover of Dungeon Magazine some years ago and hehad a figure in the War Drums D&D miniature expansion. The toys were actually very well made and I kept them for many years. They had a special place in my heart. Many of the things I learned from the toy’s bios colored my perception of D&D when I finally got around to playing it, to the point that I used them to represent the marching order of the characters during my first session of D&D. The series lacked a proper Thief so when it came around to use toys to represent the Thief in the party I just grabbed my Perseus action figure from Clash of the Titans and put Luke Skywalker’s Jedi robe on him, instant Thief! How appropriate that the remake of Clash of the Titans is about to hit theaters. I guess this trip down memory lane connects to real life in a strange roundabout sort of way. 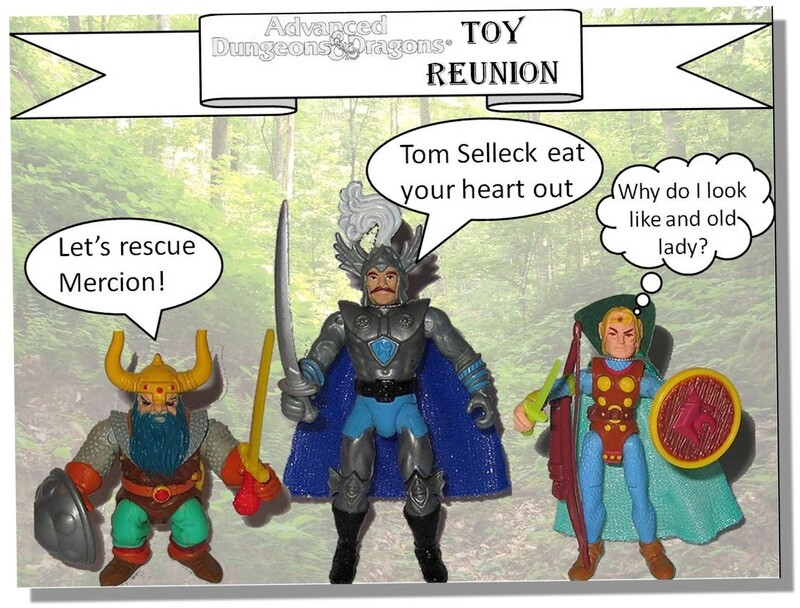 All the pictures I used for this post were taken from toyarchive.com and their AD&D toys page. 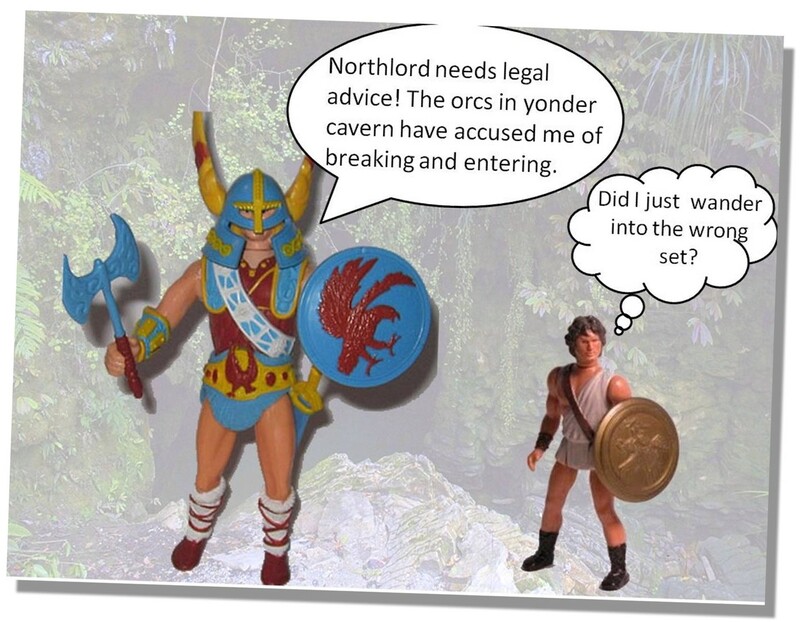 An excellent source of information about the AD&D toy line! Wow! I didn't even know that these action figures existed before you told me about them! Glad I could share… I wonder if they were available in Europe? Did you ever play "Quest for the Heartstone"? Not only is Strongheart in it, but there is a TM after his name. And I mean everywhere — even in game narrative text! Which is why I hate that guy. Walker I never played the adventure… Should have put TM after his name on the post! I think they are still up in my parent's attic. That was a long long time ago. I just remember the pewter minis and the Clash of the Titans collection…I have no recollection of the D&D action figures, makes me feel young again lol or maybe just senile.